Prostate cancer is the second most common cancer in American men and the second leading cause of cancer deaths. 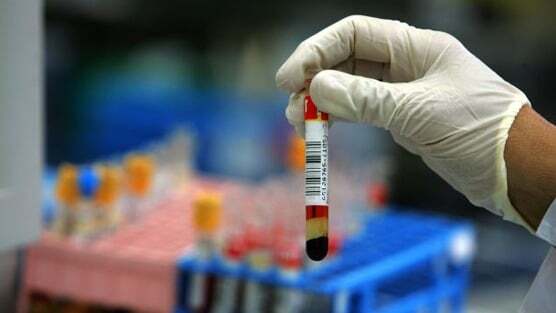 The current method for detecting prostate cancer is the prostate-specific antigen blood test. The PSA test measures the amount of prostate-specific antigen (a protein produced by the prostate gland) in the blood. However, there has been long-standing controversy regarding the PSA test as a way to screen for prostate cancer. It’s true that the PSA test is not specific for prostate cancer, and that an abnormal PSA result may indicate other conditions such as an enlarged prostate. This can lead to over-diagnosis and over-treatment in men with low-grade, less aggressive forms of the disease. Because the PSA test is not specific for prostate cancer, there are several other reasons as to why your PSA may be elevated, including an enlarged prostate, prostatitis (prostate infection), inflammation, or a urinary tract infection. Most clinicians consider a PSA result above 4.0 ng/ml to be “abnormal”. Once other conditions besides prostate cancer have been ruled out, the next step is to have a prostate biopsy. However, there are some cases when the prostate biopsy is negative yet but the PSA remains elevated. In this case, repeat biopsies are often recommended in which the patient must have about every six months or year to monitor for any abnormal changes in the prostate gland. A new diagnostic test, the PHI blood test, improves the diagnosis of prostate cancer. The test uses three different prostate specific markers, which makes the test three times more specific for prostate cancer compared to the current PSA test. The test provides doctors with a more accurate picture in regards to a man’s PSA result. According to Innovative Diagnostic Laboratory, the PHI test measures total PSA as well as two special forms of the protein: free PSA (fPSA), and pro2PSA. tPSA includes all types of PSA circulating in the bloodstream, whether free or bound to other proteins; fPSA is PSA that circulates as a free protein, unattached to any other proteins; and pro2PSA is a form of PSA that is highly expressed in prostate cancer tissue and is associated with more aggressive disease. Using these three values, a PHI score is calculated. The PHI score provides a more accurate measurement to assess prostate cancer risk than any known PSA-based marker alone. And by using pro2PSA, the PHI test can detect more aggressive cancers. This reduces the harm many men experience with overtreatment. Dr. David B. Samadi is the chairman of urology and chief of robotic surgery at Lenox Hill Hospital. He is a medical correspondent for the Fox News Channel’s Medical A-Team and the chief medical correspondent for AM-970 in New York City.